Well, there is been some very funny videos trending on YouTube this week. We loved the cat called Muni from Armenia, who has trouble catching mice because it is cross-eyed. I thought the T-Rex dinosaur zooming around on a segway was ridiculously funny. And the 2015 YouTube Rewind has just come out. If you don't know what that is, it is a compilation of some of the year's funniest and most popular videos. Dan and Phil made a brief appearance on the video, at around 4:40. Did you see them Liv? And then there was baby Roman, who was crying and the only way to make him stop was for his mum to play Adele's latest single 'Hello', which is still setting YouTube records and is set to reach 1 billion views soon. 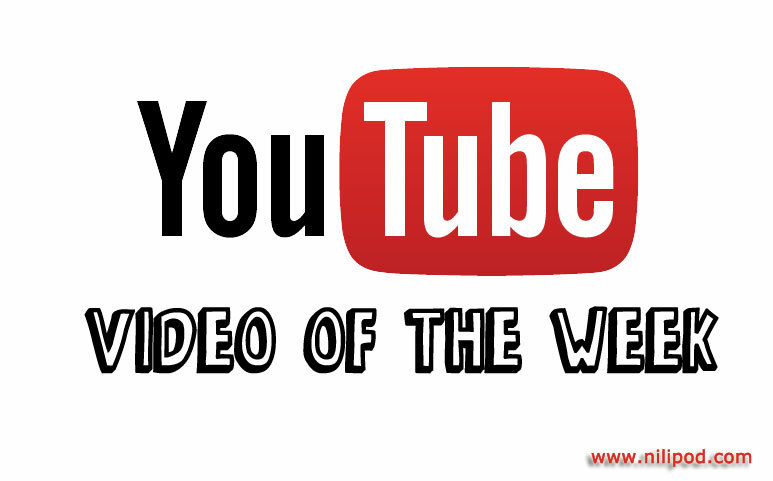 So, let's talk about what we've chosen as our YouTube video of the week. Australian DJs Hamish and Andy got in touch with Ed Sheeran and persuaded him to hang out with them for the day, as he was currently in Australia. They set up a backstreet show called 'The Ed Sheeran Experience' or something like that and then put a sign out the front saying '30 Seconds of Ed Sheeran for two dollars'. It all looked rather dodgy and most people just walked straight past, because they didn't believe that actual Ed Sheeran was just inside the building, waiting to give them a personal performance. Anyway, after a lot of persuasion, people started paying their two dollars and coming in, and when they saw that it really was Ed Sheeran and his guitar, they were gobsmacked. Here's the YouTube video. Our favourite bit is when one man started harmonising with him at 5:13ish. So far this YouTube video has been watched over a million times in just a few days and as you would imagine, there are literally hundreds of comments already. Well, we've waded through the comments to pick out a few of the very best to read out. Remember, these are all genuine, so draw your own conclusions. Obviously this proved one thing, Ed Sheeran reallt is the sheeple's people. Me too, Rosanna, that would've been amazing! Sadly people can't enjoy anything anymore nowadays without using their phones. Damn and blast. I walked past that day! I really thought it was a scam. Aw no, Main Man Moose, that is tragic. So today we paid $2 and got to see Ed Sheeran sing to us live for 30 seconds. This is possibly the most unbelievable sentence ever. Never heard of Ed Sheeran. WHAT?! He's one of the biggest stars in the world at the moment, and he's got almost ONE BILLION views on YouTube. Get with the times Russias Vechenaya. Oh dear, Jashim. That is a shame. Sorry to hear 'you not fine'.